AAP has expanded their SIDS recommendations from focusing only on SIDS to focusing on a safe sleep environment that can reduce the risk of all sleep-related infant deaths, including SIDS. Back to sleep. The safest position for babies to sleep in is the supine (flat on the back) position. Use a firm sleep surface. 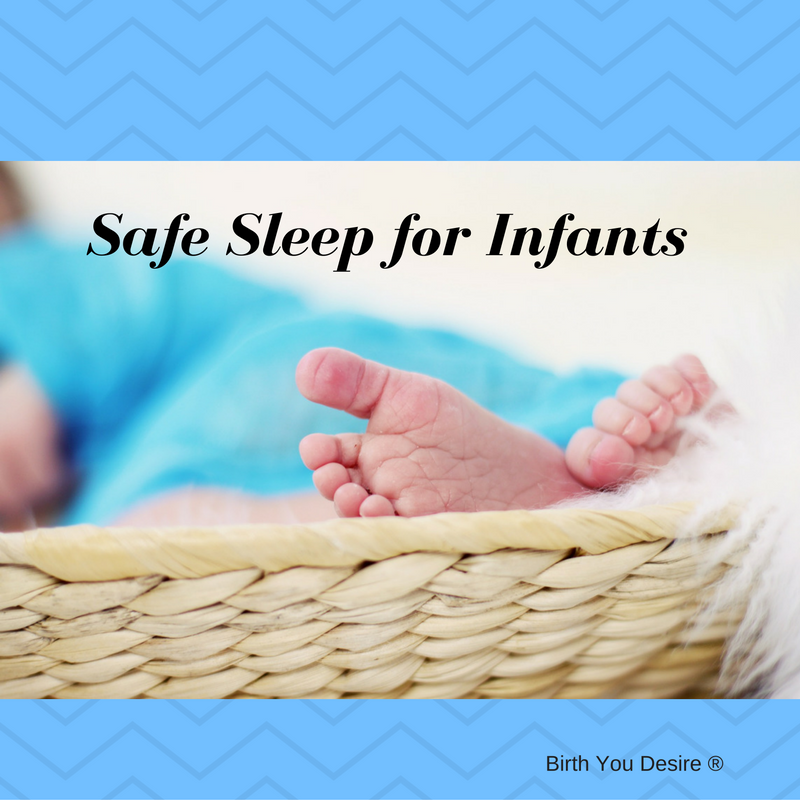 Soft materials like quilts, blackness, and pillows are not ideal for a sleeping infant. Eliminate all extra objects in the bed area. Sheets should be tight fitting. Blankets should be avoided but when used tucked in tightly and kept well away form the baby’s face. Instead of blankets a sleep sack is often recommended. Keep a healthy home environment. No smoking or exposure to smoke in pregnancy or postpartum. Use a air purifier or fan in the sleep area to facilitate clear air. Make sure the room temperature is about 72 degrees. Babies should avoid over heating. Family members should not be under the influence of drugs, alcohol, or medications. Sleep areas: Co sleepers that attached to the mothers bed provide easy access for the other to the infant. Bed-sharing although bed-sharing is on the rise the AAP does not recommend it at this time. Instead they recommend a crib to be placed near the parents bed. Pacifier introduction should be delayed one month to establish breastfeeding. If a pacifier is used for sleep, then once it falls out it should not be reinserted. If baby refuses the pacifier, it should not be forced. Encourage ‘tummy time’ on a flat surface, while the baby is awake and being observed. Tummy time is critical for motor development. Avoid heavy dependency on car seats, bouncer chairs, and laid back positions. Upright cuddling and sitting should be encouraged to avoid positional plagiocephaly or ‘flat head syndrome’. When baby is sleeping on their back, alternate the sides of the baby’s head is sleeping on.